Intel and DreamWorks plan to show off the fruits of their 3D collaboration in a Super Bowl 3D extravaganza this Sunday as DreamWorks prepares to tap into future Intel Larrabee graphics silicon. Stereoscopy--which in a primitive form has been around since the 1840s--creates the illusion of depth by presenting a slightly different image to each eye. Starting this year, DreamWorks will produce all of its feature films in stereoscopic 3D for use with the special glasses. 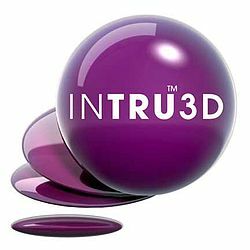 The InTru3D technology will provide more vibrant colors than traditional technologies that use 3D glasses, according to Jeffrey Katzenberg, chief executive officer of DreamWorks, in an interview posted on an Intel Web page. "Instead of (traditional) red and blue lensing, there's a different set of filters that are used" that are better at reproducing color, said Katzenberg. "The second thing is a greater level of precision in terms of the broadcast signal--right eye, left eye. The blurry kind of stuff is cleaned up a lot," he said. But there's a lot more going on with Intel and DreamWorks than meets the eye. Think Intel's future Larrabee graphics chip is just a smoke screen or paper tiger? Listening to Katzenberg, it sounds very real. 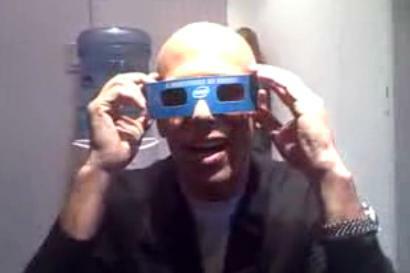 "We are well on our way to upgrading our software to really take advantage of Larrabee," said Katzenberg, in the Intel video interview. "Larrabee raises the bar of what we can do not just by 2X or 3X but by 20X," he said. DreamWorks is also using Intel software tools. "This is allowing us to create a completely new paradigm in movies," Katzenberg said, referring to Intel's InTru3D technology, which Intel describes as "uniting the best in computer-generated moviemaking with the latest high-performance processing technologies." Last year, DreamWorks said it was dropping technology from Advanced Micro Devices in favor of Intel--and at that time the two companies announced a strategic partnership aimed at redefining 3D filmmaking technology. DreamWorks had been in a three-year partnership with AMD. DreamWorks uses rendering farms with thousands of Intel processing cores to create animation. Before it adopts Larrabee (later this year), DreamWorks will move part of its rendering farm to Intel's Nehalem processor for servers, due later this quarter.